The Diglis Water development is on the banks of the River Severn at its junction with the Birmingham and Worcester Canal in what was historically Worcester’s main wharf area. 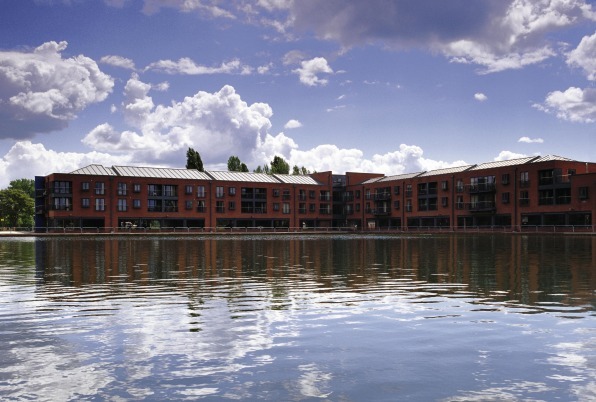 Our design for the regeneration of the site has been guided by principles set out by Worcester City Council and our aim has been to make the most of this waterside environment. We worked closely with British Waterways and the Environment Agency to design and build a ‘flood compensation area’ (an area that will deliberately flood to protect other areas) which also acts as a waterfront park with attractive landscaping and a floating pontoon for residents to use and enjoy. The canal basins have been restored using traditional methods and materials and integrated in to the development. 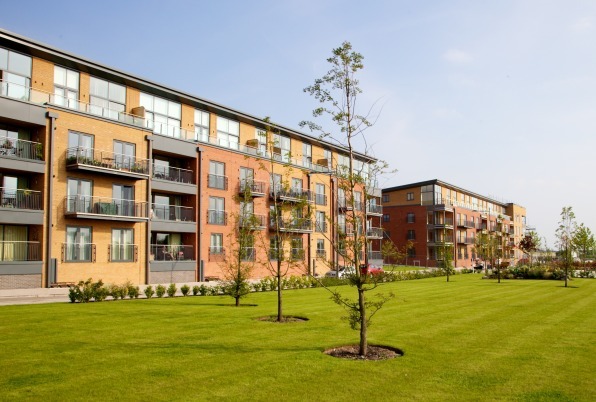 "Taylor Wimpey’s Diglis Water is a leading example of how a new-build development can use green infrastructure as it both harmonises with and enhances the local area. The team has sympathetically created a sustainable yet desirable place to live, as well as somewhere the local people and tourists can enjoy." Chris Dobbs, Heritage and Design Leader, Worcester City Council. 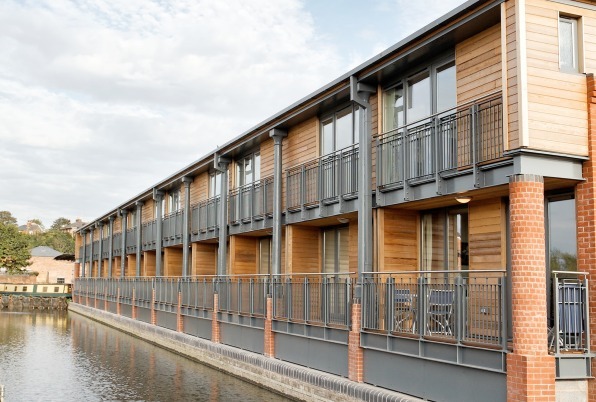 Many of the apartments have floor-to-ceiling windows and glass balconies, which allow plenty of natural light in and give residents wide views across the Worcestershire countryside. Design features of the apartment blocks include cedar cladding, red and buff brickwork, metal panels and aluminium-framed windows. The town houses feature red brickwork, stainless steel balconies, and private gardens. Open space landscaping throughout the development includes materials such as York Stone paving, stainless steel tree grills and railings, and various species of imported and native planted trees. The road layout uses traffic-calming measures to help to reduce vehicle speeds and make the development safer for pedestrians. Cycleways and footpaths link the development with the surrounding networks and canal tow paths. A footbridge over the canal has also been repaired and restored. Three original buildings have been restored; one boathouse has been kept for its original purpose, while another boathouse and a stablemaster’s house have been converted for commercial and retail uses.